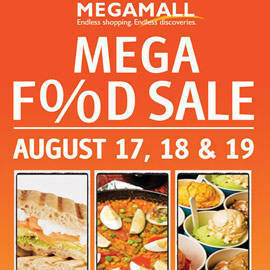 (SPOT.ph) SM Megamall's Mega Food Sale is back! Now bigger and better, we bring you the ULTIMATE FOOD TRIP on August 17 to 19, 2012! 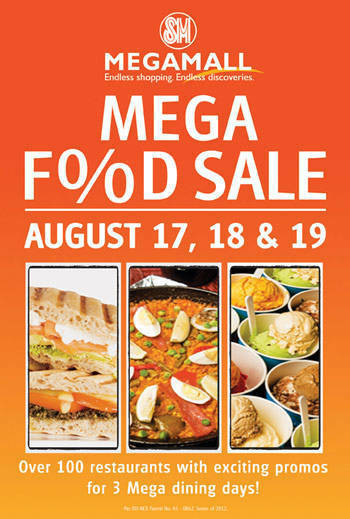 With over 100 dining establishments on sale, get ready for nonstop dining discounts and promos, huge price offs & delicious offers - Buy 1 Take 1s, Eat-all-you-cans, free appetizers, free desserts, free drinks, and many more! And here's the icing on the cake: Get a chance to win an all-expense paid food trip to exciting destinations like Hongkong, Singapore, Thailand, and Vietnam! We will also be having a Foodie Fair with SM Supermarket & the Lifestyle Network at the Event Center. This is One Mega Food Trip that can't be missed! 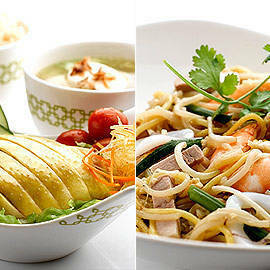 Enjoy 50% off on all to-share pastas. Pay only for 9 doughnuts for every dozen doughnuts purchased. Free Seafood Jambalaya for a minimum receipt of P500 (that’s P395 in savings!). For every purchase of one (1) box of six (6) pieces, get FREE one (1) box of eight (8) minis. Free appetizer set & (2) bottomless lemonades for every order of (2) Katsu sets and All-day bottomless Miso soup for every Katsu set. Per DTI NCR Permit No. A3 - 0842 Series of 2012. 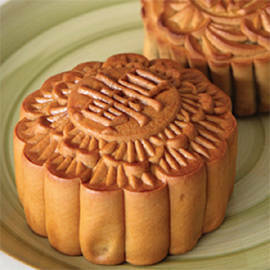 Check SM Megamall's Facebook page and Twitter account for updates and to win delicious free treats!